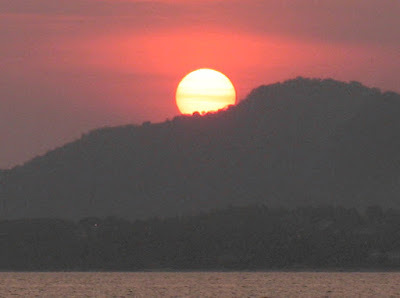 This is just about the best time of year to be in Phuket - the best weather. It's hot but not as hot as it's going to get in the next 2 or 3 months, there is still a bit of a NE breeze blowing and the "winter" nights are often cool by Phuket standards, meaning temperatures might drop to 25°C. Hey, feels cool to me! The last few days have all been hot and sunny... a bit of haze or light cloud around which keeps the temperature down slightly. Don't want it to be too much of a shock for Europeans who are arriving from sub zero frozen lands! 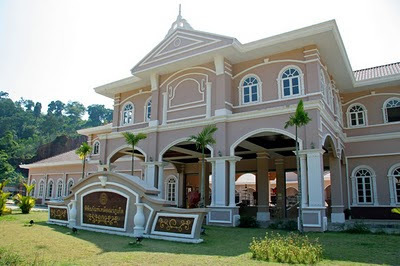 On my precious day off (Saturday) I took our kids to a new museum - the Phuket Tin Mining Museum. It's not 100% open, but you can go and look around, and we'll go again. Very happy here, all settled down with a lovely family, future looks fine and dandy. But sometimes I do like to look back. A few days ago an old friend from another world posted some photos on Facebook of Utila, a small and unique island off the coast of Honduras. I lived there for a while before coming to Thailand. It's the kind of place you don't forget and looking at the comments on Skye's photos it was clear that Utila is a place that touches people. So feeling inspired I have spent a couple of evenings digging out old photos, scanning them, photoshopping the memories (some of the old print colours were a bit faded) and uploading to Facebook. Again, lots of comments made on the photos and I have been contacted by several Utila locals, one asking for a copy of the photo of her dad, who had just died last year. I had a couple of nice Facebook chats with folks from Utila last night. They were great days, and Utila will always be a part of me and of anyone who spent time there. Here's to the past and those lost, here's to the future.